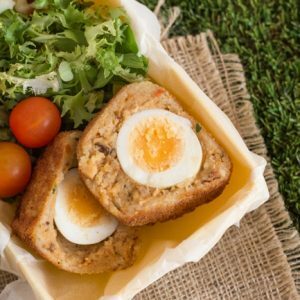 For those of you who aren’t familiar with the humble Scotch egg, it’s a British classic. Hard boiled eggs are wrapped in sausage meat, and coated in breadcrumbs. Obviously sausage meat isn’t veggie-friendly, so I decided to make my own vegetarian Scotch eggs using a tasty lentil mixture instead. For the lentil ‘sausage’, I mixed cooked red lentils with sun-dried tomatoes, mature cheddar cheese, and parsley. 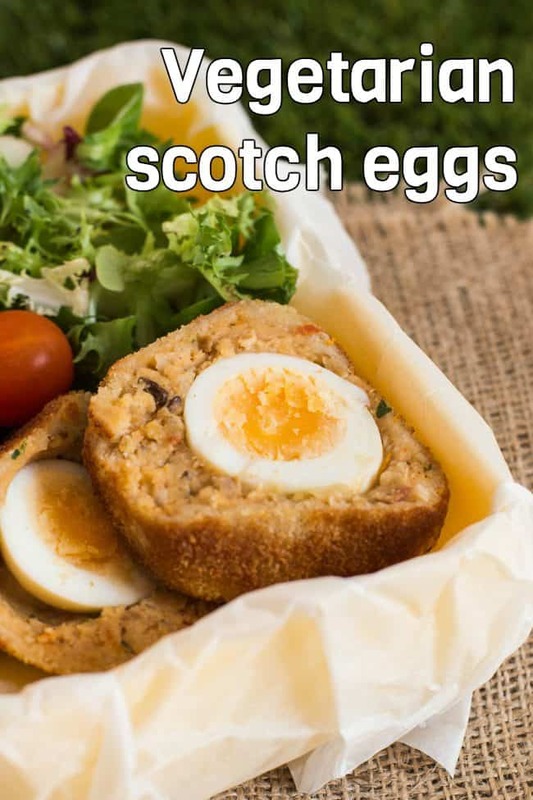 You could use the cheesy lentil mixture in all sorts of ways – lentil sausage rolls, for example – but it works really well in these vegetarian Scotch eggs. It’s really hard to beat cheesy lentils. 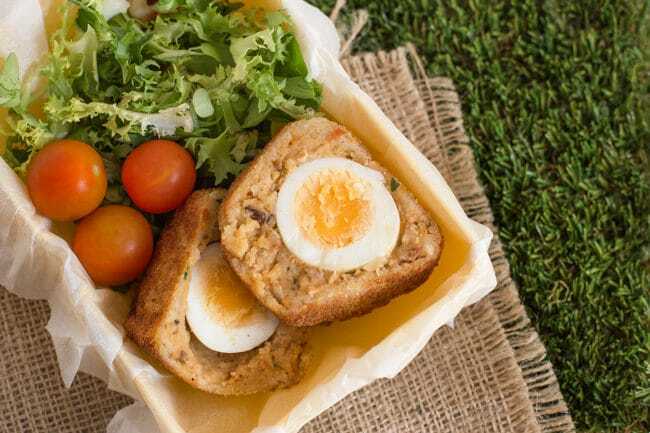 Once you’ve wrapped your boiled eggs in the lentil mixture, you just need to coat them in breadcrumbs (it’s much easier if you freeze them for a while first! ), and fry. I shallow fried my vegetarian Scotch eggs, so they ended up with flat sides – feel free to deep fry them if you want them to stay nice and round. Personally though, I didn’t mind them being a slightly funny shape. If I wanted them to look like perfect shop-bought Scotch eggs, I would have saved myself a whole lot of effort and just bought some instead. 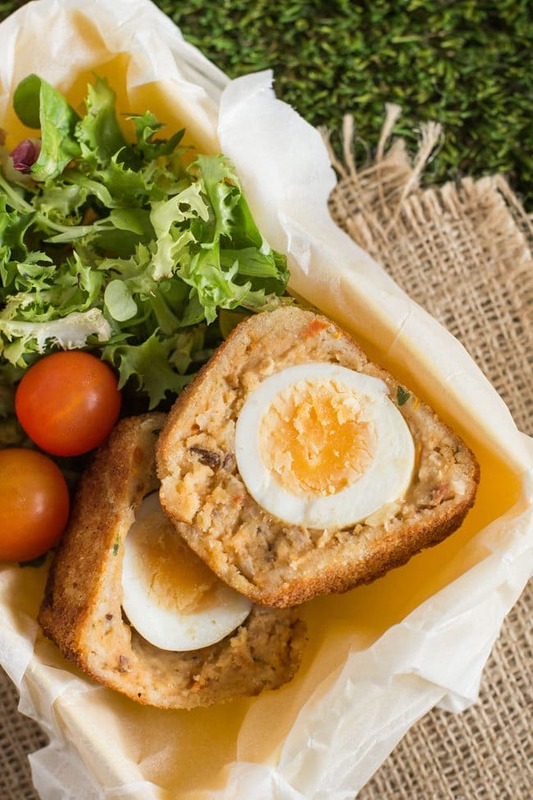 There’s no denying that these vegetarian Scotch eggs take a fair while to make – definitely a labour of love – but if you fancy an activity for a Sunday afternoon, they’re pretty fun! Each Scotch egg is really filling, so one per person is plenty. Boil 8 eggs in a pan of hot water for around 8-9 minutes, then rinse in cold water. When cool enough to handle, gently roll the eggs to crack the shell, and peel. Rinse off any loose pieces of shell under cold water. 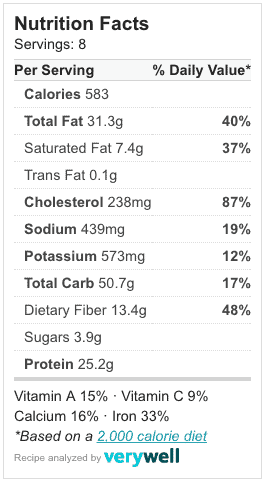 Meanwhile, cook the red lentils in plenty of water. When the lentils are tender, drain them, and set aside. Heat a dash of oil in a frying pan, and add the diced onion and garlic. Cook over a medium heat for a few minutes, until soft and translucent. Add the cooked lentils to a food processor, along with the cooked onion and garlic, grated cheddar cheese, sun-dried tomatoes, parsley, and bread. Season with a generous pinch of salt and pepper, and blitz until fairly smooth. With clean hands, take around 1/8 of the lentil mixture, and form it around a boiled egg. If the mixture is particularly sticky, it can be helpful to rub your hands in a little flour first - or, you can add some more breadcrumbs to the lentil mixture. Repeat with the remaining eggs and lentil mixture. Place the lentil-wrapped eggs on a lined, greased baking tray, and freeze for at least an hour, or until fairly firm - this just makes them much easier to coat in breadcrumbs. Once frozen, dip each one in beaten egg, then roll in breadcrumbs. For a thicker coating, return to the egg and then breadcrumbs for a second time. Fry the Scotch eggs until the breadcrumbs are golden brown and crispy - I shallow fried mine, but you can deep fry them for more even cooking if you prefer. They don't bake well. Looks yummy, I’m so excited to try the recipe! One more question, how well do these work as leftovers? Theres only two of us so Im trying to decide if I should only make two or a full batch for later. They are better eaten fresh, as breadcrumbs can go soggy when reheated if you use the microwave. 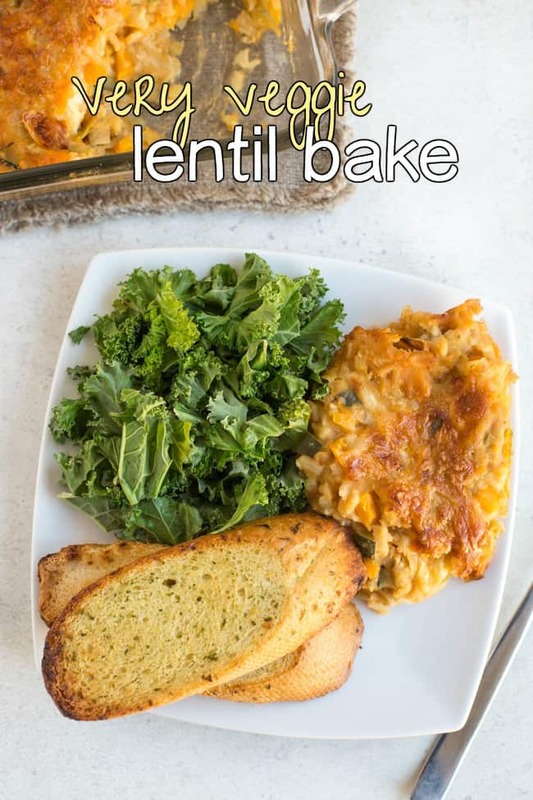 You could try reheating them in the oven on a low heat, but they didn’t bake well to begin with, so I’m not sure how well they’d hold up to baking once they’re already cooked. Worth trying everything once though! Im so excited to try these, I think I will now plan for a picnic tomorrow with these! I tend to do hard boiled eggs in my pressure cooker so I was wondering what stage your eggs are when you boil them? Soft boiled or slightly set but still some runny yolk?